Having worked on some of the most iconic and diverse theatrical productions of the last 30 years, both on Broadway and across the country, Rod Kaats, (rhymes with “gates”) brings a wealth of experience to his new position at the Ordway, having directed productions at major regional theaters, been an Assistant Director on Broadway shows and produced shows internationally on four continents. 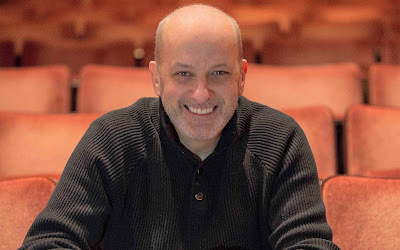 As the Vice-President of Pace Theatrical Group (now Broadway Across America) and one of the founders of The Booking Group, he is part of a small group of people who helped to revolutionize touring commercial theater in the United States. Mr. Kaats was selected from a diverse field of national candidates following a search conducted by a committee of the Ordway’s leadership and Board Chair. The Ordway will announce its 2018-2019 season in late-February including its Musical Theater Series, Music & Movement series and exciting family, concert and comedy events. The Ordway houses a 1,900 seat Music Theater, an 1,100 seat Concert Hall, two large rehearsal halls and magnificent lobbies. The Ordway, recognized as one of the U.S.’s leading not-for-profit performing arts centers, presents and produces a wide variety of performances throughout the year that encompass the finest in musical theater, concerts, dance, and vocal artists. In addition, each year the Ordway presents its Flint Hills Family Festival and serves more than 60,000 children through its education programs. The Ordway is a proud member of the Arts Partnership, a collaboration comprising the Minnesota Opera, Ordway, The Saint Paul Chamber Orchestra and Schubert Club. Rod Kaats is a producer, director and writer who has held leadership positions in prominent not-for-profit and commercial theatrical organizations and produced and/or managed shows in North and South America, Europe and Asia. Rod was formerly Vice-President of Programming for Pace Theatrical Group, America’s largest presenter and producer of touring Broadway shows, and was one of the founders of The Booking Office, now the leading theatrical booking agency in America for Broadway tours. At Pace, now Broadway Across America, Rod worked on dozens of national touring shows, supervising more than 800 different engagements in 25 American cities. Rod is part of the producing team for Girl from the North Country, written and directed by Conor McPherson with music and lyrics by Bob Dylan, which just opened at the Noel Coward Theatre on London’s West End, as he was for the Broadway production of American Psycho. He was on the management team of the Broadway productions of Hay Fever (with Rosemary Harris) and A Long Day’s Journey into Night (with Jack Lemmon), the off-Broadway productions of Rock of Ages, The Fantasticks and Silence! The Musical, the Las Vegas production of Blue Man Group and the national touring productions of Lost in Yonkers, Three Tall Women, Big! The Musical, Falsettos, Jerome Robbins’ Broadway, Crazy for You and Sweeney Todd: the Demon Barber of Fleet Street. Rod produced What You Will starring Roger Rees at American Conservatory Theater in San Francisco and was the line producer of the West Coast production of Silence! The Musical, winner of three Los Angeles Drama Critics Circle Awards. He was a consulting producer for Universal Studios Beijing and was General Manager of Kung Fu Panda for Franco Dragone Entertainment Group and DreamWorks Theatricals. As Artistic Director of the Helen Hayes Theatre Company, a LORT theatre just outside New York City, he produced 27 shows and six World Premieres, including the North American premiere of the Olivier award winning musical Honk! plus Jesus Christ Superstar (with Billy Porter and Emily Skinner), Joseph and the Amazing Technicolor Dreamcoat (with Andrea McArdle), and plays starring some of America’s most beloved leading ladies including Julie Harris, Jean Stapleton, Bea Arthur and Elaine Stritch. At the Helen Hayes, Rod directed Marvin’s Room (with T.R. Knight), The Last Night at Ballyhoo and Company (with Norm Lewis and Donna McKechnie). Rod has also directed at regional theaters including George Street Playhouse, Goodspeed Opera House and the Cleveland Playhouse and was Assistant Director on the Broadway productions of Pump Boys and Dinettes, Private Lives (with Joan Collins) and Joe Egg (with Stockard Channing and Jim Dale, winner of the Tony AwardÒ, Outer Critics Circle and Drama Desk Awards for Best Revival of a play). Rod wrote and directed Cartas a Papá Noel, a new Spanish language musical produced in Bogotá, Colombia, and was the Program Director for The Harold Prince Musical Theatre Program, directing three new musicals in the program under the guidance of Harold Prince including The Ballad of Little Jo, for which he was also co-book writer, that was subsequently awarded The Richard Rodgers Award from The American Academy of Arts and Letters and produced at Steppenwolf Theatre Company in Chicago. “I am thrilled that Rod will be leading the Ordway in this new chapter. He is the perfect match for an organization that is so vital to the cultural heartbeat of the Twin Cities.” said Kevin McCollum, the former Ordway CEO and Tony Award-winning Broadway producer of Irving Berlin’s White Christmas, In the Heights, Avenue Q and Rent. “With experience in both commercial and not-for-profit organizations, he is that rare theater-maker who has knack for knowing what is artful and will also be successful with audiences,” said James C. Nicola, Artistic Director of New York Theatre Workshop, one of New York's most prolific theater companies and where Broadway shows like Once, Peter and the Starcatcher and Rent were first staged. "Rod has been part of the extended New York Theatre Workshop artistic family for more than 30 years and has a deep appreciation for how live theater plays an important ethical and unifying role in the community." "Rod is a great fit for the Ordway. This position is a dream come true,” said Barbara Darwall, Executive Producer at Disney Theatricals, Blue Man Group, Elton John's Rocket Man Productions and the upcoming Broadway production of KING KONG. “He has a profound understanding of the art of producing and knows how theater is made on Broadway, around the country, and around the world."